P.D. Eastman’s classic children’s book comes to life onstage in an exploration of movement, color and space. 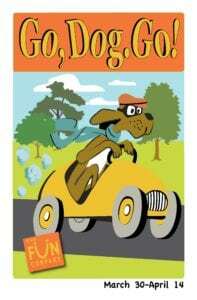 The dogs delve into life with gusto, creating a visual spectacle for the audience to feast upon. They snorkel. They howl at the moon. They ride a ferris wheel. They sing and dance and climb trees. A big and little musical world of doggy fun. Like a pop-up book that comes to life— and never stops. 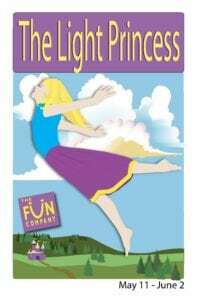 In George MacDonald’s classic story, the Light Princess has been cursed to float above the ground, never finding stability. In this dark fairy tale, she must learn to express her emotions or forever be at the mercy of gravity. Will she make peace with her parents, or will she find strength in rebellion? Will she find true love, or did she ever truly need it in the first place? People of all ages will find something to enjoy in this lesser-known fairy tale.